The Summit of the Visegrad Group, held in Budapest, with the participation of all engaged members with the EU program “Eastern Partnership” gave a good ground to compare the two formats of cooperation and the analysis of some results of European initiative development. Before the official start of the European Union “Eastern Partnership” program some diplomats and commentators noted a definite similarity of the two cooperation models. In spring last year the Ambassador of the Czech Republic to Ukraine Jaroslav Basta in public compared the “Eastern Partnership” with the project of the “Visegrad Four”, within the framework of which the Czech Republic, Poland, Hungary and Slovakia managed “not only to help each other to get ready to the EU membership, but keep on cooperate successfully”. Polish, Czech and Ukrainian Mass Media made plenty of such comparisons in 2009. Naturally, the context of such comparisons supposes the repetition of the practice of East European states joining the EU. Many political figures and analysts in the countries of Eastern Europe today still perceive the project of partnership this way. In some recent publications on this subject, it is underlined that until now there is a misunderstanding in Brussels of the essence of some problems of eastern neighbors. There is an opinion that the working group in the EU bodies, constantly aiming at the accomplishment of the “Eastern Partnership” will enhance the level of mutual understanding and, probably, “will assist to change the views of those states that are skeptic about further expansion of the EU to East”. And the “Visegrad practice” will help eastern neighbors to become the EU members eventually. But in case with the “Eastern Partnership” program officially the prospect EU membership is not just not emphasized, it’s not yet considered even hypothetically. Old members of the United Europe on the opposite don’t hide the substitutional character of the program – closest cooperation, but without membership. There the greatest difference of these two models is routed. The “Four” was created mainly for entering the Euro-Atlantic institutions, partnership – including (and according to the official version of Brussels first of all for it), and for smoothing the interaction of the EU with new peripheral states (at least, meanwhile). 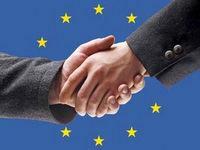 The EU program has existed for about a year already, however, “old” and “new” Europeans still perceive it differently. Each puts its sense into it. By this the upholders of the trajectory of the “Eastern Partnership” development on the model of the “Visegrad Four” pay attention to several key moments. By the accomplishment of a new European idea it’s important to consider not only the “Visegrad practice”, but also to draw a lesson from all the attempts to improve regional cooperation, including the experience of another project – GUAM uniting Georgia, Ukraine, Azerbaijan and Moldova. The budget of the “Eastern Partnership” program of 600 millions euro for six states for the period of several years is perceived by the majority of politicians of the “Eastern Partnership” states and of a number of the EU states (Poland, Lithuania) and by the majority of experts as absolutely insufficient. Without serious financial resources the project will simply marginalize into a new edition of TACIS program. 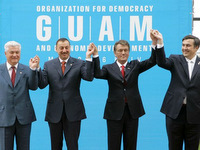 An extremely important component of the idea of the establishment of the Organization for Democracy and Economic Development – GUAM was the search of new ways for energy resources transportation from Caspian region to Europe. Eurasian oil-transporting corridor was the idea, that could later include security issues. But the idea has remained unfulfilled. The “Eastern Partnership” also needs a through, hardening subject. Another significant moment is the enhancement of regional consolidation. Exactly this allowed the Czech Republic, Poland, Hungary and Slovakia to achieve many sound results. With a common view it’s easier to communicate with Brussels, promote common regional interests. In case of the “Eastern Partnership”, having a common view it will be easier to promote own interests not only within the relations with Brussels, but also with Moscow. The commonness of views on the partnership in the states participating with the “Visegrad Group” will contribute into the involvement of this platform into projects and political consultations of the “Eastern Partnership”. In Brussels they should understand that the “Four” can become a peculiar lobbyist of this program within the issues of budget and adoption of common political decisions at the EU level. Dwelling on the development of regional consolidation, inevitably we draw a conclusion about the key and in this sense a new role of Ukraine. It’s known that initially, Kiev perceived the “Eastern Partnership” without any enthusiasm, noting repeatedly, that this absolutely differs from the expectations of Ukraine from the EU. But gradually the expressed insult towards Brussels faded away, and after the last election campaign, the “Eastern Partnership” program started fitting organically into a moderate (pragmatic) European line of a new political team at power. The key role of Ukraine within the establishment of a common regional policy of new neighbors is drawn from many circumstances. The value added here also lies in the already established close cooperation with the “Visegrad Four”. During the meeting with the EU Commissioner on the issues of Enlargement and the European Neighborhood Policy Štefan Füle in Budapest, the Head of the Ukrainian Ministry of Foreign Affairs underlined the “urgent necessity of rapid filling of this initiative with pragmatic content and assurance of the financing that would be adequate for ambitious aims” of the EU neighborhood initiative. Ukraine is ready and will play the “most active role” within the “Eastern Partnership” development – declared Ukrainian Minister. Following the results of a meeting with his Slovak colleague, the Head of Ukrainian Foreign Affairs Ministry declared about “full readiness to accomplish joint projects of the two states” within the frameworks of the “Eastern Partnership”. Last steps of Ukrainian diplomacy in western direction gave a ground for analysts and commentators to state that the change in Ukrainian European line has already been made. It has gained a bit different configuration. There is a transition from mainly (and five years ago - exceptionally) bilateral advanced cooperation to a more active regional policy of Ukraine within the context of own European vector. Probably, this role today is the most acceptable for Brussels, as well as for Moscow and Kiev. Initiatives, presented in Budapest, had been preliminary discussed during many bilateral and multilateral meetings, negotiations (Hungary, Ukraine, Lithuania, Slovakia, Czechia, Azerbaijan). The issues were thoroughly processed. We can recollect that on November 22th – 23th 2009, on the eve of Ministerial meeting of the “Eastern Partnership” members, Kiev welcomed a trilateral meeting of the Heads of Foreign Policy Departments of Belarus, Ukraine and Lithuania. The first such meeting was held in February 2009 in Vilnius, i.e. even before the official start of the program. And already then “prior attention was given to the issues of interaction between the three states” exactly within the framework of the EU “Eastern Partnership” initiative. In Kiev they talked about the use of transit capacities of Belarus for the supplies of Ukrainian electric energy to Lithuania, relaxation of visa regime, interaction within the framework of the project of a train for combined transport “Viking”, development of transport infrastructure, including the construction of a highway “Minsk-Kiev”. There they also agreed to make a joint statement on “the single energy area” during the meeting of Foreign Ministers of the “Eastern Partnership” member-states in December of 2009. Now this partnership is in the stage of formation of EuroNest parliamentary dimension. It’s worth mentioning, that some initiatives, sounded in Budapest, were preliminary discussed within many bilateral and multilateral meetings and negotiations (Hungary, Ukraine, Lithuania, Slovakia, Czechia, Azerbaijan). The issues were thoroughly processed. Thus, as cooperation and advisory mechanisms it is suggested to set an East-European Regional Forum, that would include Belarus, Ukraine, Moldova, the EU “Three” and involved states (Poland, Lithuania and others), and the corresponding forum for economic cooperation. But the most important and perspective sphere of partnership policy still remains to be the assurance of energy security.